Solomon Brown, “Solomon Brown,” Histories of the National Mall, accessed April 23, 2019, http://mallhistory.org/items/show/398. Solomon Brown was likely the first African American employee at the Smithsonian Institution. He began work there in 1852 as a maintenance worker, building exhibit cabinets, cleaning, and moving specimens. He advanced to serve as clerk to Secretary Spencer Baird, who relied on him to serve as his eyes and ears in the Smithsonian. During the Civil War, Brown kept Baird informed about possible Confederate attacks and the status of work in the Museum. He worked closely with Baird as a naturalist and became an illustrator, lecturer, and philosopher. Solomon Brown was born into a free African American family in Washington, DC. His father died when he was still a young child, and by the time he was a teenager his family was homeless. At the age of 15, Brown found a job working for an assistant postmaster, helping with the construction of the first telegraph lines in the United States. Through this work he met Joseph Henry, a scientist who collaborated with Samuel Morse on the telegraph and who was later appointed first Secretary of the Smithsonian. In 1852, Brown started working at the Smithsonian as a general laborer, building exhibit cases, moving furniture, and doing other basic jobs around the building. While working, he taught himself to read and began to study the natural sciences, possibly with the encouragement of Assistant Secretary of the Smithsonian Spencer Baird. By 1869, Brown was a registrar for transportation of animal specimen. 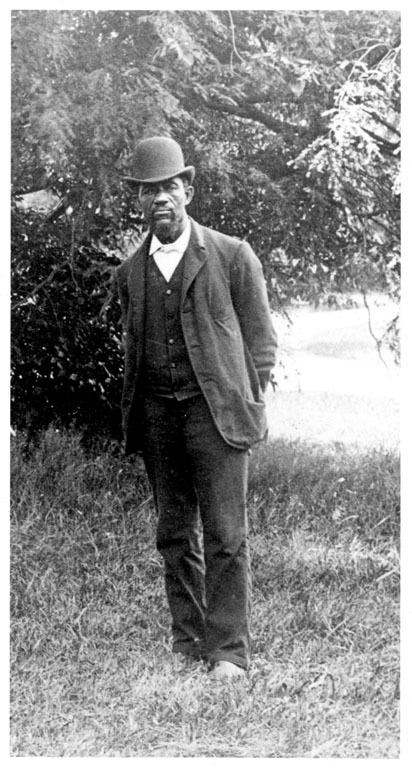 Brown was active in his local community, just across the Anacostia River from the museum where he worked. He helped run two Sunday schools, served as a trustee for his church, hosted picnics for the community, and represented his neighborhood in the District of Columbia House of Delegates from 1871 to 1874. Although he and his wife, Lucinda, had no children of their own, they welcomed nieces and nephews into their home. Brown wrote poetry, some of which was published in local African American newspapers. Brown worked at the Smithsonian Institution for 54 years. When he started, the Institution was housed in a single building, the Castle. Shortly before he retired in 1906, he attended the opening of the National Museum of Natural History. In 2004, a tree was planted near the Natural History Museum building in Brown's honor, inspired by a remark made by Brown lamenting the trees that were cut down so the museum could be built.